Philadelphia-based photographer Zoe Strauss is nationally recognized for her work illuminating moments from everyday life. Now she and a group of other photographers have stepped forward to help document the massive, unprecedented wave of school closings here in our city. She is calling her project the Philadelphia School Closings Photo Collective. After the School Reform Commission took action, “it suddenly seemed as if everything was going to close without being properly documented, that a school would be closed and no one was going to have a photographic record of it,” said Strauss…. Strauss has put out the call for other photographers to each choose one of the 24 schools slated to be shuttered and document its final days…. Strauss herself will document Bok Technical High School, in her South Philadelphia neighborhood. She calls it a “great building,” one that has seen generations of students learn trades. Photographers interested in collaborating on the project can request to join the Philadelphia School Closings Photo Collective Facebook group. I wish it wasn’t necessary to do this, but I’m very glad someone is. When I look at photos on PhillyHistory.org and similar archives, I am often struck by the unrecognizability of many familiar buildings and neighborhoods. Iconic images stay more or less the same over the years — City Hall will always be City Hall. But people don’t live in City Hall. We live in neighborhoods, and neighborhoods can change radically even in a short space of time. Schools live in neighborhoods too. Chronicling the death of 24 schools is a modest but powerful way of affirming their role in the life of our city. 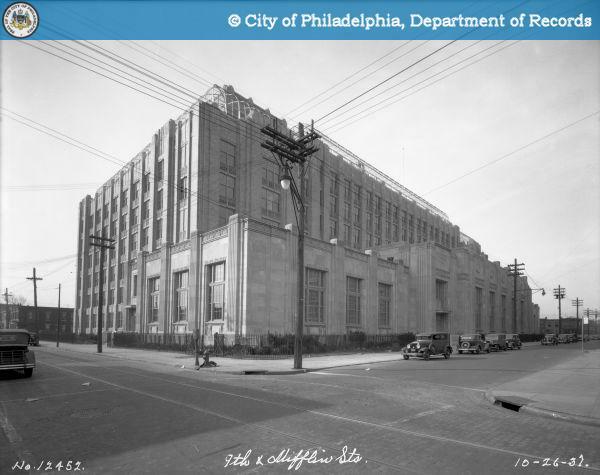 Photo credit: PhillyHistory.org, a project of the Philadelphia Department of Records.